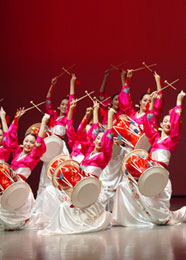 The Korea Cultural Heritage Foundation (CHF) was established, aimed at protecting and preserving Korea’s cultural properties, creatively enhancing, developing and utilizing its traditional lifestyle culture, and thereby promote the preservation and safeguarding of the national culture as well as the culture in Asia. Since 1980, CHF has executed various projects that involve traditional ceremonies, arts, crafts, foods, performances, and exhibitions; diverse cultural experiences; educational and publishing activities; and tourism products, including the traditional wedding experience. CHF has conducted research projects involving excavation of cultural properties in order to continue and distribute the traditional culture of Korea as widely as possible. Moreover, CHF has involved a number of projects for safeguarding of intangible cultural heritage among the Asia-Pacific countries. 1. Cultural Experiences: Traditional Korean cultural on-site experiences and international cultural exchange programs have been developed to contribute to safeguarding of intangible cultural heritae in Korea. 2 .Exhibitions: CHF is organizing several permanent exhibitions for the work of holders of Important Intangible Cultural Properties(Living Human Treasure) with a view to educating the public on the nation’s Intangible Cultural Heritage. Various special exhibitions and exhibition tours are planned to help Korea’s best craftsmen and craftswomen from different regions to continue to pratice and develop their inherited skills and techniques. 3. Performances: The traditional art performances staged in the Important Intangible Cultural Heritage Transmitters’ Centre, Korea Cultural House and Korea House are designed to enhance and promote intangible cultural heritage. 4. Cultural Heritage Education: The educational program aims at help the public acquire a better understanding of the importance of cultural heritage, and by extension play an active role in preserving and continuing our cultural traditions in everyday life. 5. Re-enactment of Cultural Traditions: CHF strives to exhibit the splendid traditional culture of Korea to tourists through preservation and restoration, and accurate re-enactment of cultural traditions such as royal court ceremonies. I live in the US and during transit through Incheon airport, visited and made purchases at the Korean Cultural Heritage Foundation shops. Love the products and wish that I can make purchases from the US. Is that possible? i am sending my academy profile link. Please have a look and send me your application form with terms and conditions.